The Comet I (A34) was a British cruiser tank that first saw use near the end of the Second World War. It was designed to provide greater anti-tank capability for the Cromwell tank squadrons. It was armed with the 77mm HV, which was effective against late war German tanks. 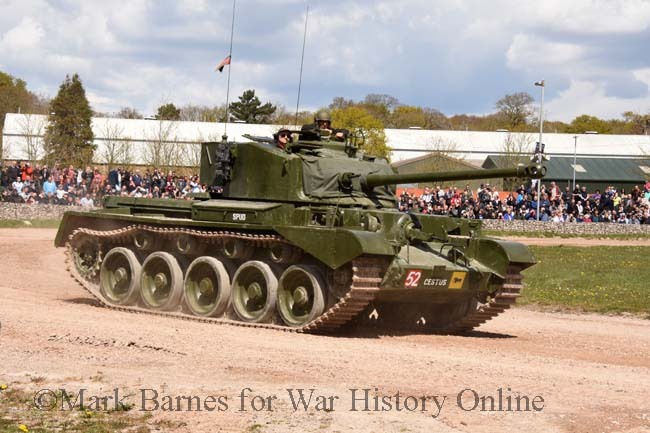 As a development of the Cromwell, it was an interim design before the Centurion tank. The British 11th Armoured Division was the first formation to receive the new tanks—deliveries commenced in December 1944—and the only division to be completely refitted by the end of the war. Due to its late arrival in the war in north-west Europe, the Comet did not participate in big battles, although it was used in combat. The Comet was involved in the crossing of the Rhine and later in the Berlin Victory Parade of July 1945. The Comet’s maximum speed of 32 miles per hour was greatly exploited on the German Autobahns. The Comet saw post-war combat during the Korean war. It remained in British service until 1958. You can discuss it on the World Of Tank Forum here!.